Teacher. Trainer. Talker. Joel Indrupati believes everyone is entitled to his opinion. On everything. Everyday. Uh ho. Phil Collins has called it a day? How can this great singer retire? So quickly? When even the much older Mick Jagger is performing on Grammy's Stage shows still?! But then, he must have his reasons. But while he performed, he was a great entertainer as a drummer and singer - whether as a member of the group, Genesis, or whether as the solo artist himself. I cannot forget all the wonderful songs that he regaled me with, and those several millions the world over. I am sure his songs will keep going on around the world; whether in the form of songs on radio, videos on television, CDs in stereos, or as MP3 files over the internet. Against all odds, Sususudio, True colors, and Another Day in Paradise are among my favourite hits of Phil Collins. Here’s a bit of trivia for people. 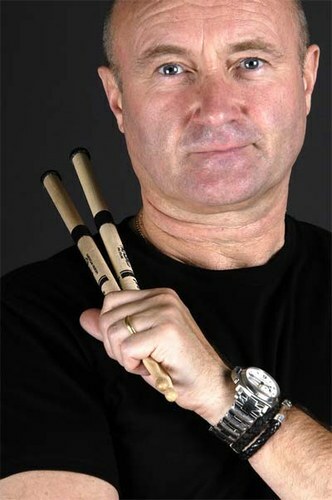 Phil Collins is perhaps the first, if not the only person, to perform on the ‘same evening’ in UK and USA! He performed at both Wembley Stadium and JFK, utilising Concorde, the supersonic jet, to get him from London to Philadelphia, before it was evening there! UK TV personality Noel Edmonds piloted the helicopter that took Collins to Heathrow Airport to catch his flight. Aside from his own set at both venues, he also provided drums for Eric Clapton and the reunion of the former members of Led Zeppelin at JFK. By the way, he had won seven Grammys and one Oscar, not much mentioned in his news of his laying aside his drumsticks for good. Here, you will find my thoughts, jots,and what-nots. Sometimes outright philosophical. Sometimes downright whimsical. Sometimes valuable opinions. Sometimes useless facts. It depends on my moods. And, sometimes, your views. Thank you for passing by. Please do leave your comments if you can. Did Titanic's passengers eat Oreos? The Movie, 'Padmavati' - Historical Fiction or Historical Documentary? Sand is fine. I am not. where are the visits from? © Joel Indrupati. Picture Window theme. Powered by Blogger.